Can we do anything to stop this? Bostrom’s view is that if we focus even modest attention on strategies for preventing or delaying this scenario, the beneficial impact could be significant. 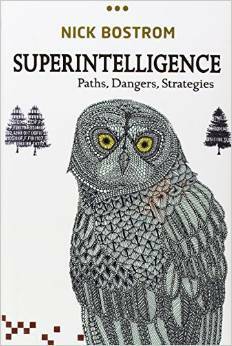 By reallocating resources from technologies that increase risk toward efforts to control potentially rogue superintelligence, such as algorithms to ensure ethical behavior favorable to humankind, the most extreme danger might be averted. 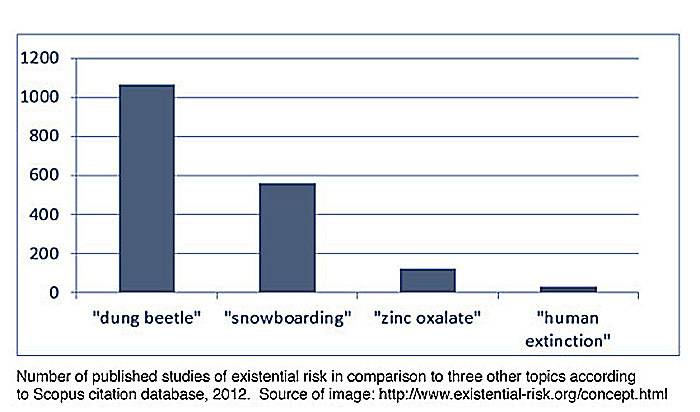 One especially amusing slide presented by Bostrom was a graph showing the relative frequency of published studies of human extinction compared to three other topics: In response to questions from the audience, Bostrom expressed doubt about prospects for imposing outright prohibitions on certain kinds of AI work perceived as dangerous. He seemed to lean more toward incremental strategies that would buy humanity time to find ways of mitigating risk so that we would be better prepared for rogue AI when and if it appears. If his lecture was short on concrete solutions, it did make a convincing case for greater attention to the dangers of technologies once praised as utopian but which we must increasingly see as fostering risks whose magnitude we are only now beginning to imagine. 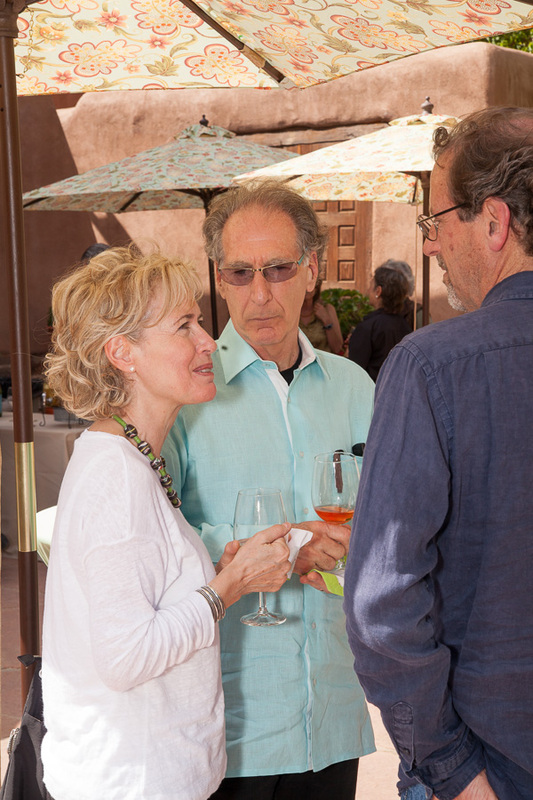 The lecture was followed by a reception on the SAR campus. 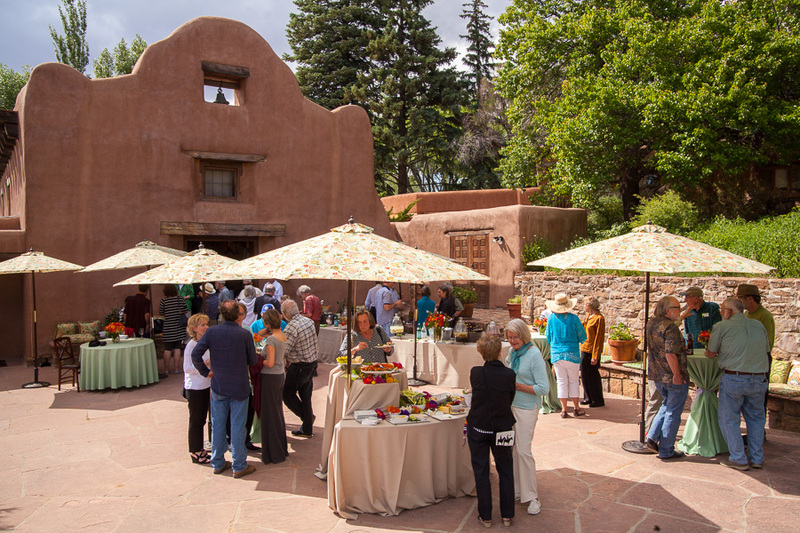 One of the issues that arose in discussion with attendees was whether this event represented a new departure for SAR, which is principally known for its major contributions to anthropology, archaeology, and Native American art. My response was that our commitment to the areas of our greatest strength remain undiminished but that SAR also wants to build on its tradition of contributing to big-picture debates about human futures, social justice, and expanding frontiers of knowledge. Bostrom reception on patio in front of SAR administration building. L to R: Jocelyne Guilbault, Steven Feld, Tom Joyce. 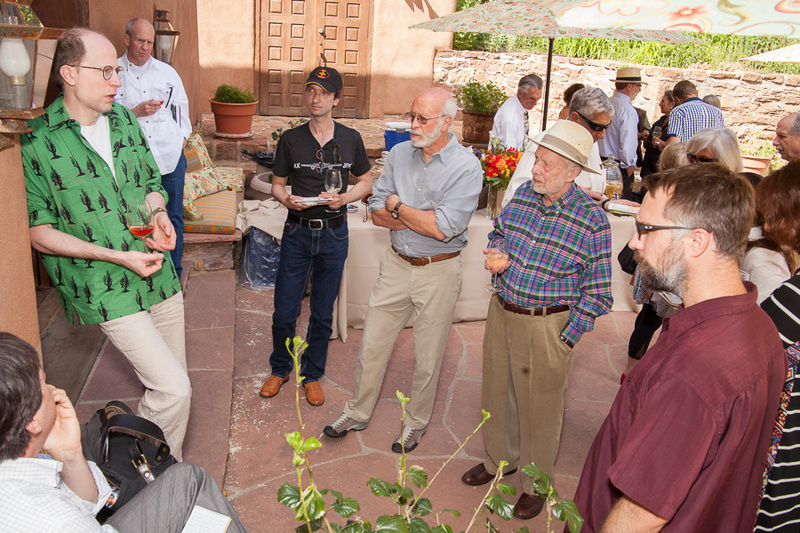 Nick Bostrom and fans discuss existential risk while drinking really good sangria. This event would not have been possible without the generous support of our underwriters, the Vera R. Campbell Foundation, Susan L. Foote, Merrilee Caldwell, and Marcus P. Randolph. Another copy of this post, with additional photographs, has been uploaded to the SAR website. 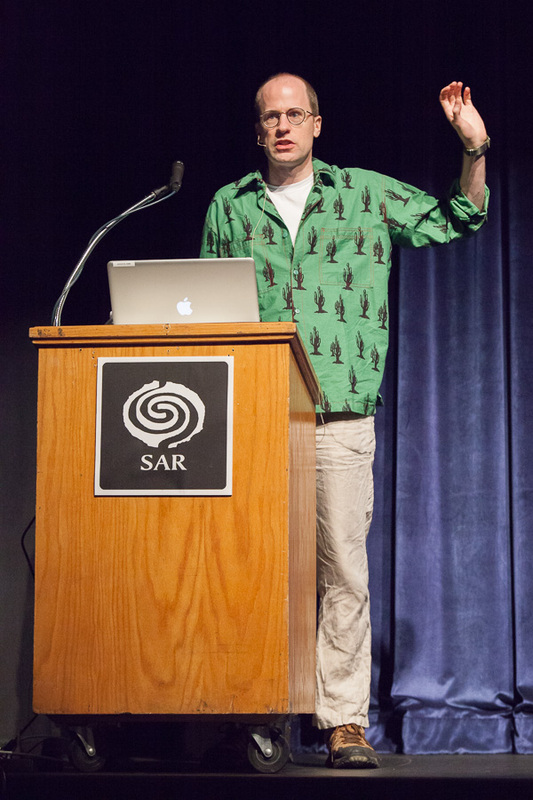 Added 10/26/2015 A video of Bostrom’s Santa Fe lecture is now available in the SAR YouTube channel.